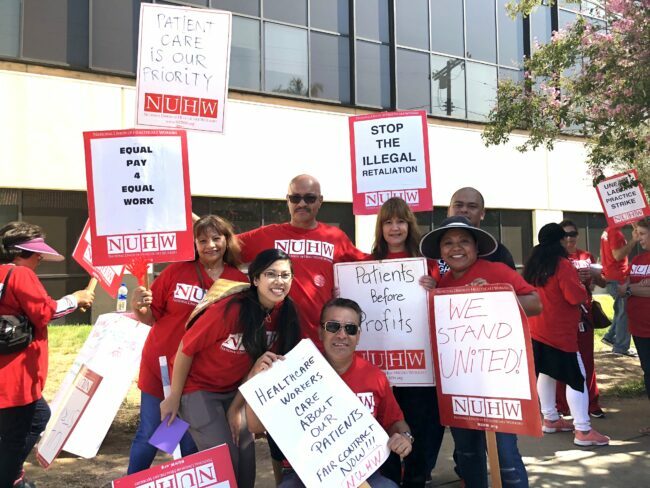 More than 500 caregivers struck Providence Tarzana Medical Center Aug. 16 to protest the hospital’s unfair labor practices and demand a contract that provides fair wages and puts an end to the frequent cancellation of shifts that has caused chronic understaffing. But instead of bargaining in good faith, the hospital retaliated by locking out many of the strikers for four days following the one-day strike. 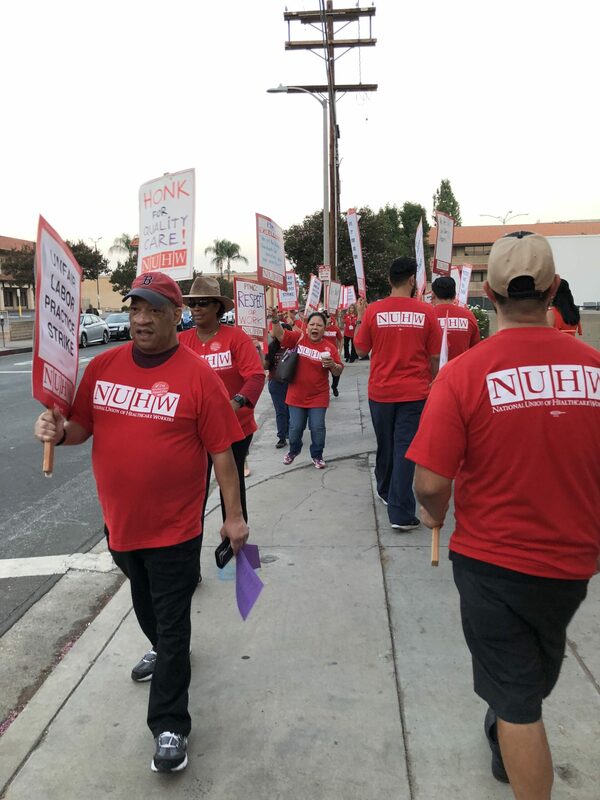 The lockout is leaving patients in the hands of temporary workers unfamiliar with the 245-bed San Fernando Valley hospital. 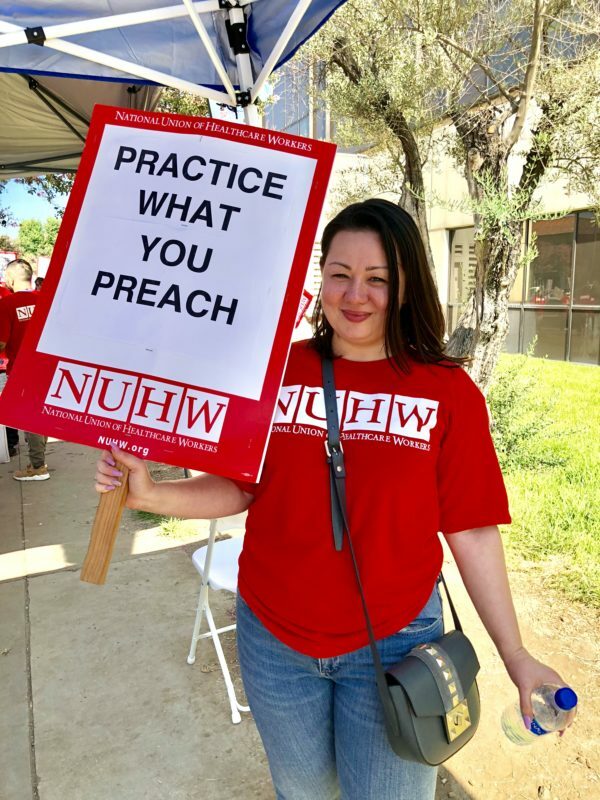 The strikers included the majority of non-nurse hospital employees including nursing assistants, respiratory therapists and medical technicians. Providence Tarzana is offering most of them a 2 percent annual raise that wouldn’t come close to keeping pace with rising prices and soaring rents. The Consumer Price Index for Los Angeles has increased 3.9 percent over the past 12 months. Caregivers also are demanding the hospital end its recent cost-cutting practice of sending caregivers home in the middle of their shifts and cancelling their shifts entirely. The practice has resulted in nursing assistants having to care for as many as 30 patients at one time. It also has left workers unsure of whether they will truly make their full-time salaries on any given week. The strike was covered by several local television station including CBS, FOX11 and ABC7, the Los Angeles Daily News and several business outlets.